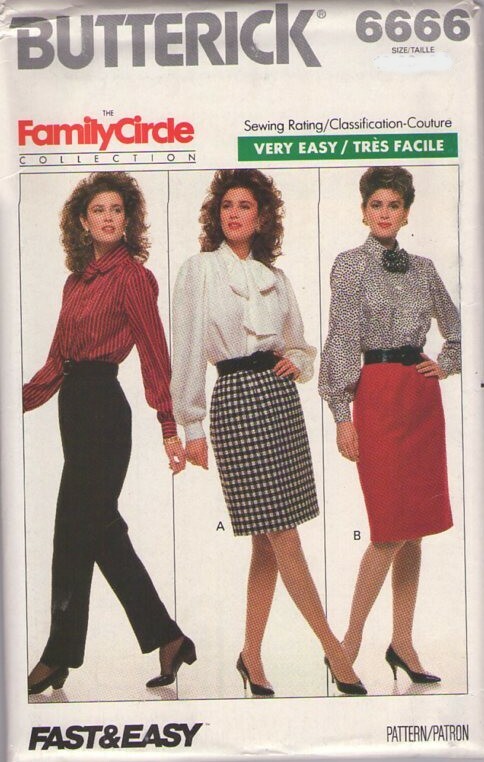 1988, 80s Office, Retro Beginners Clothing Patterns - MISSES'/MISSES' PETITE SKIRT & PANTS Tapered skirt, above mid-knee or mid-knee or tapered pants have waistband and side front pockets. Skirt: back zipper. Pants: front pleats and mock fly zipper. Purchased top.